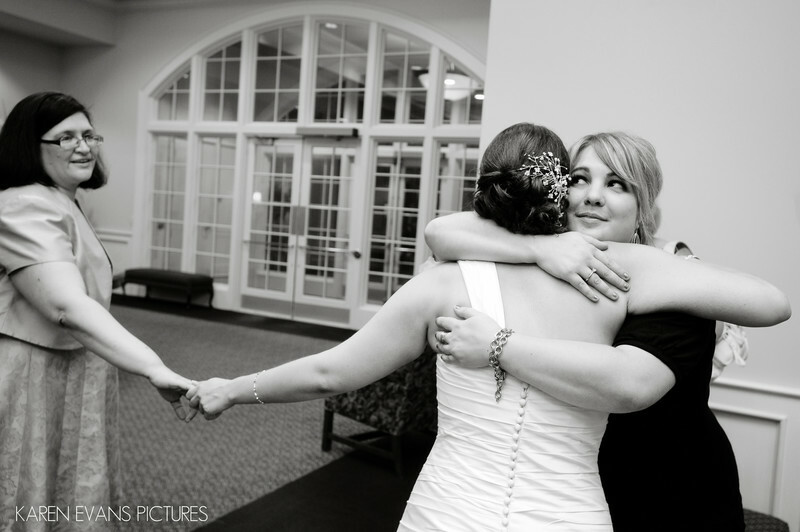 If you're a bride at a wedding, you're being constantly greeted and hugged, even when trying to walk through the lobby with your mom. I love that Katherine is hugging her friend while not letting go of her mom's hand. Such a nice moment. Including the expression on her friend's face.Keywords: northpointe conference center (12).